(Newser) – A woman who was recently released from prison in Oregon robbed a bank in Wyoming only to throw the cash up in the air outside the building and sit down to wait for police, authorities say. 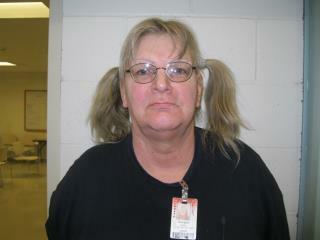 Investigators say 59-year-old Linda Patricia Thompson told them she wanted to go back to prison. Thompson said she had suffered facial fractures after strangers beat her at a Cheyenne park last weekend. She said she couldn't get a room at a homeless shelter and decided to rob the bank Wednesday because she could no longer stay on the streets, court records say. Officials say Thompson had been serving time at Coffee Creek Correctional Facility in Wilsonville, Oregon, for a second-degree robbery conviction until her release in June, the AP reports. This happens more often than not, because once someone becomes a convicted felon forget about getting a good job. She's no Richard Case Nagell deep agent but about as homely.